The Apple rumours are flying as we await the new releases of 2018, the latest iPhones are always a subject of much speculation. The latest news coming from the rumour mill points at the possibility of four new iPhones and the iPhone X remaining on sale. There are, apparently, four new iPhones in development at the moment with three of those expecting to be officially released this year. We are expecting two LCD models, around 5.8-inch and 6.1-inch displays, and a one OLED beatsie witha 6.5-inch display. This will keep Apple in line with their 2017 announcements when we got the iPhone 8,iPhone 8 Plus and big iPhone X. 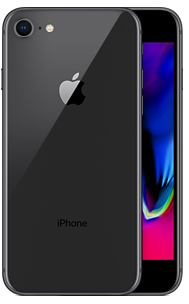 The final model to complete the line up is expected to be the next SE, namely the iPhone SE2, which is expected to be out in the wild before all the others. While details are still vague we can be assured of plenty of rumours over the next few weeks to hint at what these models will bring. The iPhone X was one of the more bold moves from Apple last year, new design elements and big technology boosts were all debuted on the phone. It was expected that the phone would be discontinued quite quickly and the newer models filling the void. The rumours are now hinting that the iPhone X will continue to be part of the iPhone lineup for 2018. Watch this space for more iPhone news, are you waiting for the next iPhone? Did you buy an iPhone X? What do you like about it? Share your thoughts below.